What does it take to become a mountain guide? Newly qualified IFMGA British Mountain Guide Tania Noakes gives us an exclusive inside look at the advice she'd have given her younger self to do it sooner. I’m not often asked the question anymore. I’ve tried out any number of different answers along the way but the truth lay a little deeper in me than even I was initially aware. So what is the question? Well it takes many forms of course, but essentially it remains the same: Why would you want to become a mountain guide? One positive aspect of growing older is that you become more aware of who you really are. You accept what motivates you and what you want from life. That understanding helps you to focus and relax. Suddenly everything seems so much easier. You stop struggling and start striving. There is a lovely country and western song by Brad Paisley called ‘Letter to me.’ It describes a letter he imagines writing to himself aged 17 with the benefit of hindsight. I love this song; it never fails to make me smile. Its melancholy sets me thinking about what advice I would give my younger self. Above all, I think I would want to try to help that young woman stop struggling and start striving - sooner than she did! Hopefully, my advice might inspire and encourage other women. Especially those who love being in the mountains and just need a little push in the right direction to consider becoming an IFMGA accredited mountain guide too. Believe in yourself; because fundamentally it’s what you believe that will shape your performance and progression. Throughout your life there will be people who believe in your ability and people who don’t. But it’s your opinion alone that will shape your success. Have a realistic view of your ability or else you can never improve. Belief without substance is delusion. Belief, combined with hard work and experience, can achieve remarkable results. To be a mountain guide you need belief in yourself and the abilities and experience to validate your belief. In life there are so many demands competing for our time and attention; making it difficult to see clearly which direction we want our lives to take. And just as you discover what you want from life, you are faced with an even harder decision... Whether to commit to it or not. I personally struggled with this for a long time. Making a decision seemed difficult because I didn’t want to wake up one morning feeling I’d made the wrong choice. The one true advantage of hindsight is the certainty it provides. Here’s what I’ve learnt: Nothing is permanent and very few decisions are irreversible. However, indecision leads nowhere. Do your research and be honest with yourself. How much is this goal worth to you? Ultimately it forces the question of how to spend the most precious commodity of your life, your time. In terms of becoming a mountain guide you should try to strip away any illusions you have about the job. A mountain guide isn’t all about climbing hard routes or steep ski descents. Fundamentally, it is about your clients and your relationship with them. Keeping them safe and ensuring that the experiences you share with them have the right mix of challenge and enjoyment is essential. To do this well you have to like sharing you time with a variety of people and personalities. Be realistic and honest. If you are only motivated by personal goals and achievements in the mountains then you may not find the work of Mountain Guide as satisfying as you might another profession. 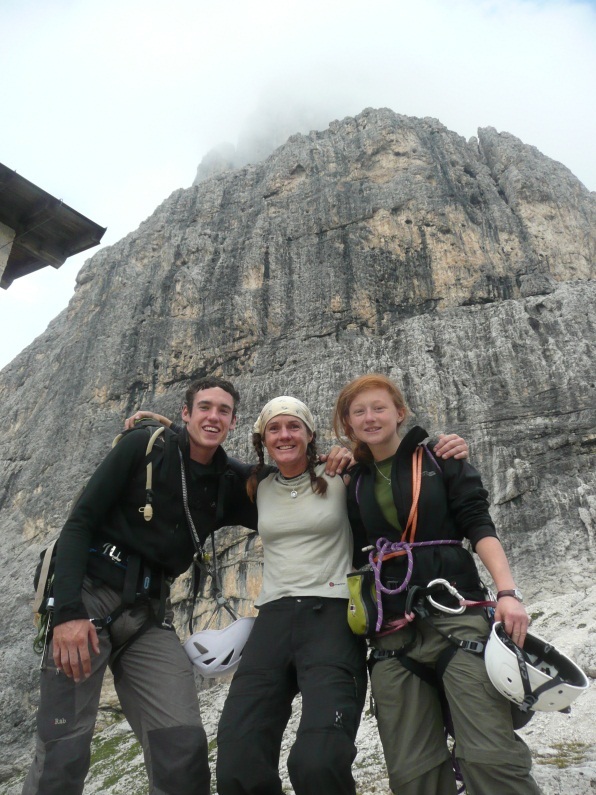 Students James Smith and Camilla Cox after a successful ascent of the Bridalveil arête on Cima de la Madonna, Pala Dolomites. Working with students as motivated and positive as you convinced me I love the work. Thank you. There have been more than a few times in my professional life where I have wearily witnessed the silent labelling of women as ‘emotional’ (implying over-emotional and therefore an undesirable trait). Don’t be disheartened, in my experience a keen awareness of risk and an appreciation of the cost of failure are very valuable qualities in a mountain guide. Working as a mountain guide is not an ‘everyday’ profession. The work is intense and fairly seasonal. It doesn’t fit easily with attending a regular club, high level physical training, or even family life. Yet it can be intensely rewarding. Ask yourself whether you could enjoy a somewhat alternative lifestyle and if the sacrifices you might have to make to achieve your goal won’t be too painful for you. When it comes to physical prowess, often women underestimate their abilities and don’t set their targets high enough. If you don’t like physical challenge then this job isn’t for you. The reality is, the fitter you are the easier, safer and more enjoyable it is to do a physically demanding job. Being a mountain guide demands a robust fitness that cannot be built up overnight. I am passionate about cross-country skiing. It is a sport renowned for being aerobically very demanding. Many of the girls whom I have taught have not possessed a good enough base level fitness to get the most out of this amazing sport. As a woman this is a terrible shame. If you do not have a good level of fitness challenging physical activities can offer more pain than reward. It’s tougher to start training in the first place than it is to further improve your fitness. But don’t be discouraged, once you have a good basic fitness level you will find that the more you push yourself the easier it is to improve and the more you will enjoy it. Remember that while it’s really tough in the beginning it does become easier… but it never becomes easy. 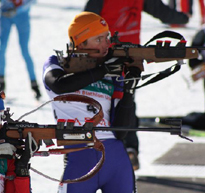 Winning the GB 10km Mass start Biathlon 2009 in Obertilliach. Showed me that a lifetime of loving the physical has its rewards! I encourage the girls whom I coach to view physical training like investing in a bank. You have to make deposits on a regular basis to appreciate any gain in your bank balance. No investment means no return. As long as the training you do is aerobically challenging it doesn’t really matter what you do but you must do it regularly. Base fitness is important for recreational climbing too and will enable you to fully enjoy your experiences and lead to a full and active life. Many people don’t realise what they are missing out on by neglecting this important aspect of their lives. For some of them it simply isn’t true that they can’t, it’s just that they don’t try hard enough. Any woman aspiring to become a Mountain Guide is going to have to work very hard. So start now and learn to love pushing yourself physically. Ski touring with students in the Monta Rosa Group. I started climbing at university aged 18. I wasn’t coached into rock shoes aged two or heading up Alpine peaks with my parents in my teens like some of my friends. A lot of studies have shown that it takes a lot of practise of any complex skill to develop true competence. 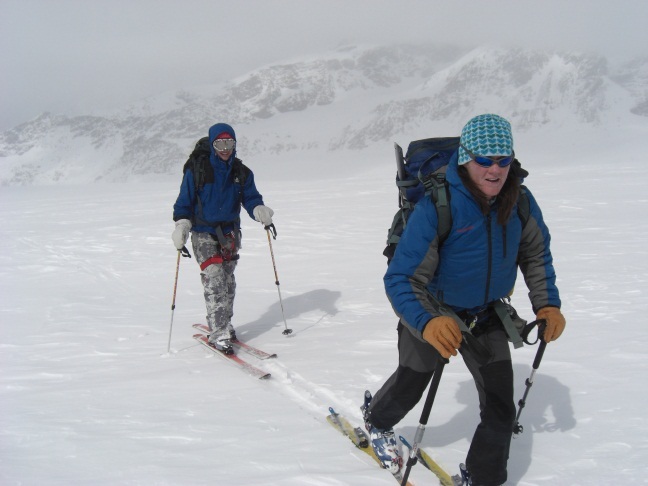 To be a mountain guide you need both a high degree of technical ability and depth of experience. There is no quick fix, this kind of skill comes with time and investment and lots of practice. While those who start early have more opportunities and time to gather this vital experience; achieving your goal is still possible if you start later in life, it will just require hard work to master the disciplines required. You need to be a strong climber on rock, mixed, ice and alpine terrain, and you need to be a strong skier too. 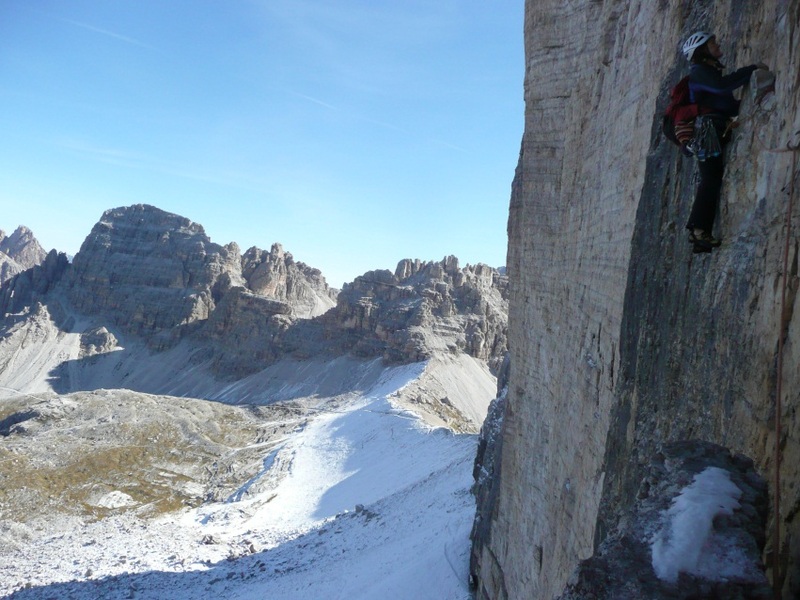 Climbing the Comici on Cime Grande with Joe Williams Guitarist extraordinaire and one of my favourite climbing partner in wintry conditions. The people you surround yourself with have a dramatic influence on our attitude and beliefs and consequently your progress. Enthusiasm is contagious; hard work is made easier when those around us work hard too. My most rewarding climbing experiences have been achieved with friends who share this positive mind-set, regardless of their technical climbing ability. Negativity and laziness are like virulent weeds that if left unchecked will stifle your performance. So spend your valuable time wisely, surrounded by motivated and positive friends. Some of whom may share similar aspirations and goals but all of whom will want you to succeed. 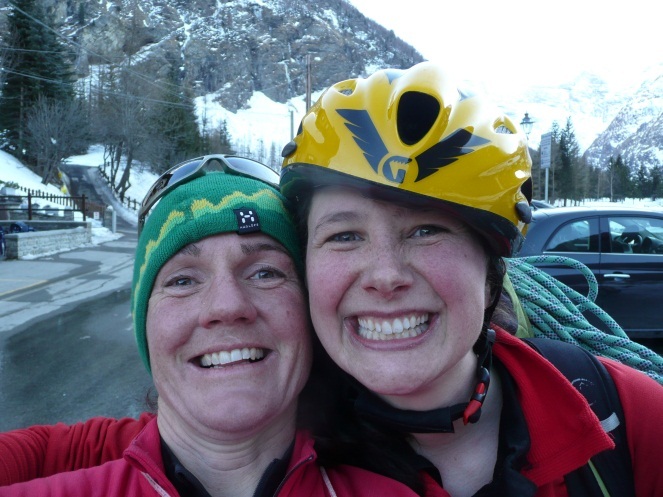 A day climbing ice in Cogne with Alice Gartland… a girl who couldn’t be more fun and positive… thank you Alice ! Powerful practise. What do you need to improve? Work hard to improve it! So many studies have shown that it take hours of practise to become an expert at something. But when we practise we often just rehearse what we’re good at rather than working on our weaknesses. The trouble is that we don’t improve without persistence and determination. I learnt this after my first encounter with an off-width in Yosemite Valley. Initially I hadn’t a clue about how to climb it or what techniques to use and ended up giving up in disgust after some fairly ineffective struggling. Rather than accepting defeat I decided that I had to do something about it. So I started telling everyone that off-widths were my ’speciality’. I made sure that I did as many of them as I could, even though I disliked and feared them. 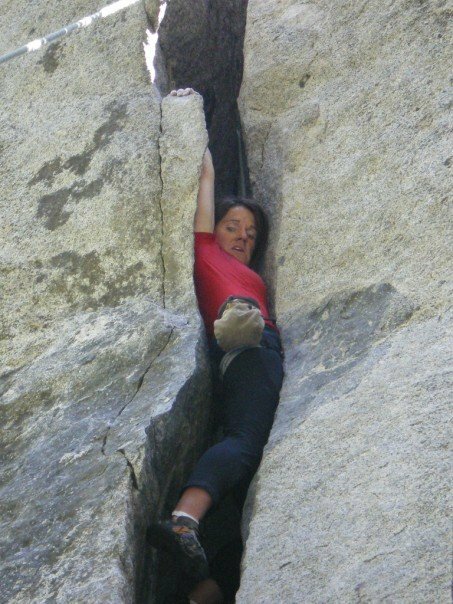 I pretended to be excited when my climbing partners realised in relief that I wanted that pitch. I hunted them out and threw myself at them left, right and centre. Up close and personal with Generator Crack in Yosemite. Turning a weakness into a strength… bring it on! Many bruises, scrapes, bloodied elbows and aerobic lung-burns later I caught myself saying that I liked off-widths… and realised I was actually telling the truth. Then I overheard someone saying that I was pretty good at off-widths… and I realised that they were speaking with conviction about my ability! Somewhere along the line my appreciation and my ability had shifted. It taught me a great deal about the power of positive, determined practise and how strongly our minds affect our boundaries and our performance. My point is, had I stayed in Essex I would not be working as a mountain guide. As a result of some fortunate events in life I moved to the French Alps and became well placed to make the most of every opportunity to climb and ski in the high mountains. There is no escaping the fact that poor locations reduce opportunities and work against you achieving your goal. Good locations work in your favour and accelerate your progression. I have never regretted my move to the Alps. But I have regretted not doing it sooner. In the Oztal Alps of Austria after climbing the PiztalerEis Express with Catherine Howell-Walmsley.The Alps… so much to explore and good friends to explore it with. It is very important to recognise and accept that we remain students all of our lives. Often the more you learn about a subject, the more you realise there is to discover about the subject you have chosen. A good coach is able to help the student focus their attention on areas for improvement and guide their learning process efficiently. Taking lessons or going on courses can be expensive, but sometimes professional coaching is invaluable. Of course it is not impossible for you to teach yourself, but it does take more time. On the flip side, lessons cost money, so develop your skills and apply them rigorously – this will help you identify the areas in which you made need professional guidance. Winston Churchill once said “Never, never, never give up!” and in terms of pursuing your dreams I believe that he’s right. I almost gave up. To be a mountain guide you have to reach a high level in a lot of different areas of mountaineering. Many guides have an area they specialise in and it isn’t uncommon that they have had to work hard to bring another discipline up to the required level. My nemesis was Scottish winter climbing. For a while I had a bit of a reputation amongst my friends for bringing mild weather to Scotland whenever I visited. I allowed myself to become dispirited with the fickle conditions north of the border and moved to Chamonix. Several times I almost gave up on my dream of becoming a guide. 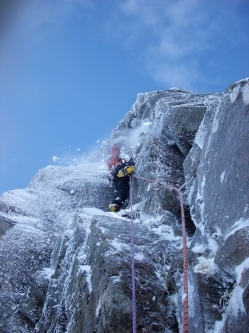 Climbing Tilt VI 7 Jan 10 with Tamsin Gay fellow Scottish winter climber. Tamsin thank you for helping make my Scottish journey such a positive experience! A close friend was instrumental in helping me reconsider, but when I first applied to the guide scheme I was rejected. The committee felt that I didn’t have enough Scottish winter climbs under my belt. 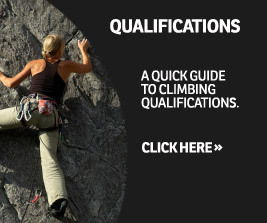 Four years after that rejection I am about to become one of very few women qualified as an IFMGA Mountain Guide. When my application was rejected I was forced to decide how important my goal was to me and what I was going to do to achieve it. I committed to spending each winter season in Scotland until I passed the exam. In addition I spent countless hours ‘dry-tooling’ in cold, dank, water seeping caves around Chamonix in order to start the winter climbing season strong. It wasn’t enough to simply pass the test – I had to pass it well. As with any profession, your personal standards and your reputation are important. The time I invested was worth the reward. My Scottish journey has given me some of the most enjoyable climbing experiences of my life. I am proud of the time and effort I invested. Memories of the routes I shared with good friends continue to make me smile. I feel that I have improved as a climber as a result of those experiences. It will also make me a better guide because it has given me increased confidence in my skills. A quality often tested in this profession. Mountaineering can be a hazardous activity. Accidents can and do happen. Even to the most risk-averse mountaineers. The same is true of mountain guides. This summer, the Alps have seen a number of accidents involving guided and non- guided climbers / parties. Accepting responsibility for exposing yourself to these risks is one thing; taking responsibility for exposing someone else less experienced than you to the same risks is a different proposition altogether. Very few mountaineers I know are reckless. However it requires quiet reflection and serious consideration to decide if you want to or are able to shoulder this sort of responsibility every day of your working life. Of course it is impossible to know precisely how you would feel if something was to go wrong and someone in your charge was injured. However, it is very important for someone considering this profession to reflect on how they might be affected in such circumstances. Regardless of whether there was anything that could have been done to alter the outcome. To be a mountain guide you must be a good evaluator of risk in the mountaineering environment. You also have to accept that a certain degree of risk will always remain. Regardless of what you do to mitigate it. My Military Guiding exam on the SW Ridge of the Monch Sept 07. I have a huge respect for the British Services Military Instructor scheme and believe without its excellent training, support, and opportunities I might never have realised my dream of becoming a mountain guide. There are so many excellent, professional and enthusiastic instructors in the military system that I feel proud to be part of it. Be sure to ask yourself if you want that level of responsibility in your work? Some people do not. For them being a mountain guide may cause inner conflict which would be impossible to resolve. I have been told by various people that they considered becoming a mountain guide but decided against it because they didn’t want to lose their passion for mountaineering by making it their profession. I also know of mountain guides who hardly do any Alpine climbing for personal pleasure, preferring to explore other areas of life in their spare time. Whatever direction your life takes, a passion for the mountains is an essential part of being a good guide. If you have a job that you enjoy, one which presents you with variety, and interest and challenges, then you don’t resent the time that it demands from you – it becomes a way of life. It is very difficult to be a good mountain guide without enjoying what you do and the time you spend with your clients. A guide’s responsibility is not just keeping their clients safe, but also to share with them some of the beauty and wonder that life in the mountains can offer. That magic that can still be found out there even in our ever more tightly constrained and managed wilderness. 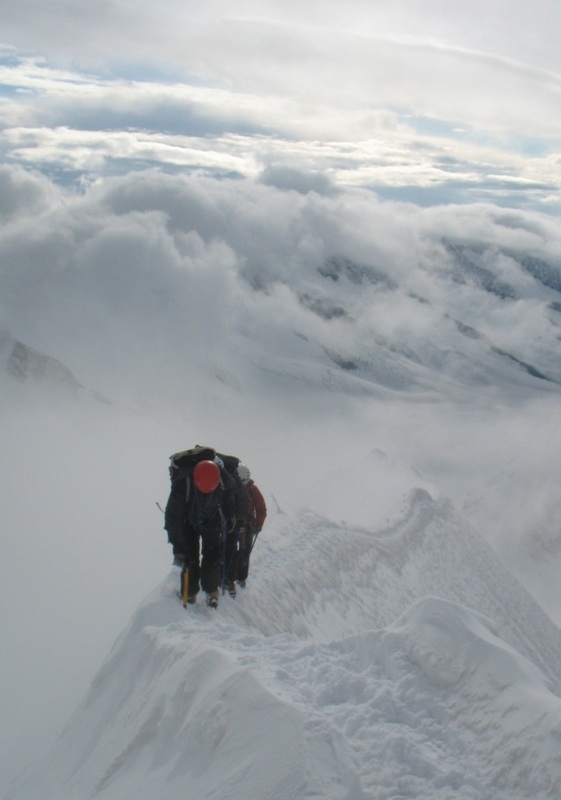 Mountaineering can provide some of the simplest and yet most profound experiences of our lives. It can help put our exaggerated stresses back into a manageable perspective. It reminds us that there are some choices that we must take ultimate responsibility for, with no pause button, rewind, or second take. When I was 17 it felt like the whole world was opening up in front of me. Everyone had a piece of advice they wanted to offer and seemed very sure that I shouldn’t waste my ‘potential’. I hardly had any space or time to glimpse what else was out there and find what was right for me. I attended a very academic school and there didn’t seem to be very many careers which offered the kind of physical and mental challenges which drew me even then, as a young girl. It took a while for me to discover this path and then longer to accept it as the right one. At times I have found myself wishing that I’d had a role model or mentor to help me with some good advice and support along the way. Now there are many more young women being introduced to climbing as a sport at a young age, through increased access to indoor climbing gyms and greater visibility of female role models. This is slowly trickling through to the profession of mountain guiding. This September I qualifed as the seventh female British Mountain Guide. I hope that in years to come this trickle into our profession keeps getting stronger. By writing about my experiences here I am hoping that it kindles the idea of qualifying as a professional mountain guide in other young women. Whether you are already passionate about mountaineering or simply an adventurous soul looking for a physical and mentally challenging path through life then I encourage you to find out more! In future years I hope to be well placed to help other women discover that they too have what it takes to become a professional mountain guide. If you need advice, or help, or simply want to get a good route done to help you on your way then feel free to get in touch. I will be delighted to hear from you. Until then, I wish you good luck and courage and hope our paths cross soon in the mountains. 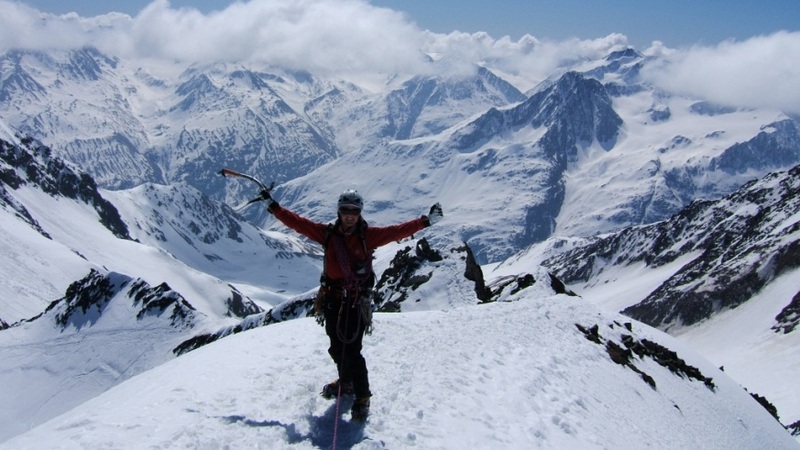 Keep up with Tania on her blog or see her British Mountain Guide profie. Great article and hope it inspires others! Inspirational and making me wish I was 15 years younger!! I am sure women of all ages will follow in Tania's footsteps, crampon marks and ski tracks! I'm a 19 year old college student who is in love with the mountains and the outdoors in general. I have been extremely anxious about trying to figure out how I can possibly combine a secure wage with a job that would allow me to be immersed in the outdoors as much as possible. If anyone has any ideas, I'm desperate! I've considered just getting my degree in environmental science and going from there, but I am constantly told that careers in the outdoors realm won't bring a comfortable salary in. Stressing out! Any tips? Great read. I also live near Chelmsford (Southend) and started climbing indoors 5 years ago. I'm now 31 and wish to be a mountain guide, where the hell do you start? This is the most articulate, honest, and inspirational article published by a mountain guide about their chosen path, the challenges that were presented during and after achieving IFMGA status, and recommendations to those who wish to pursue a professional mountain guiding career. Thank you Tania! You continue to be an inspiration to us all.